Served as the U.S. Ambassador to Sweden, and then France? Was the first Postmaster General for the United States? Is the only Founding Father to have signed all four of these documents: the Declaration of Independence, the Constitution, the Treaty of Paris, and the Treaty of Alliance with France? He also was elected President of Pennsylvania, a political position comparable to that of a current-day governor. Ben Franklin died in Philadelphia in 1790 at 84 years old. 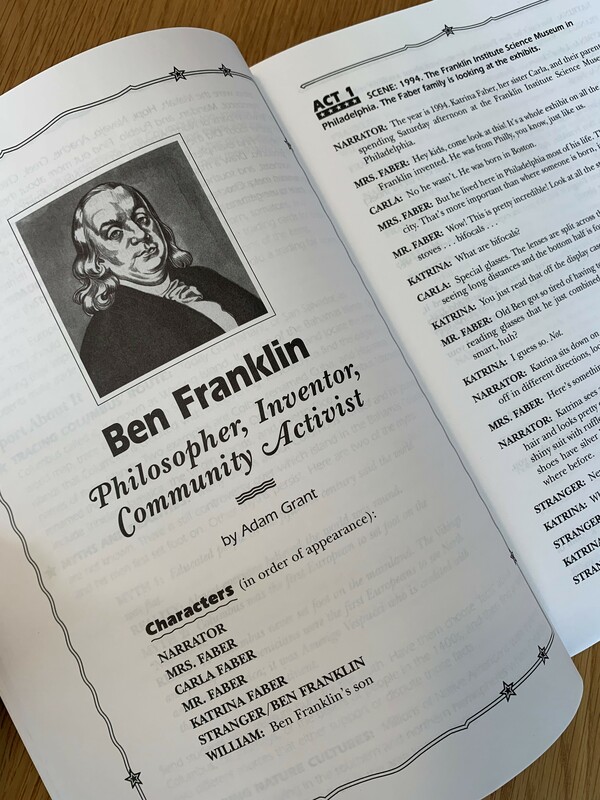 In honor of this writer, inventor, statesman, scientist, and Founding Father's 313th birthday, we found some Ben Franklin-themed books in our Archive. 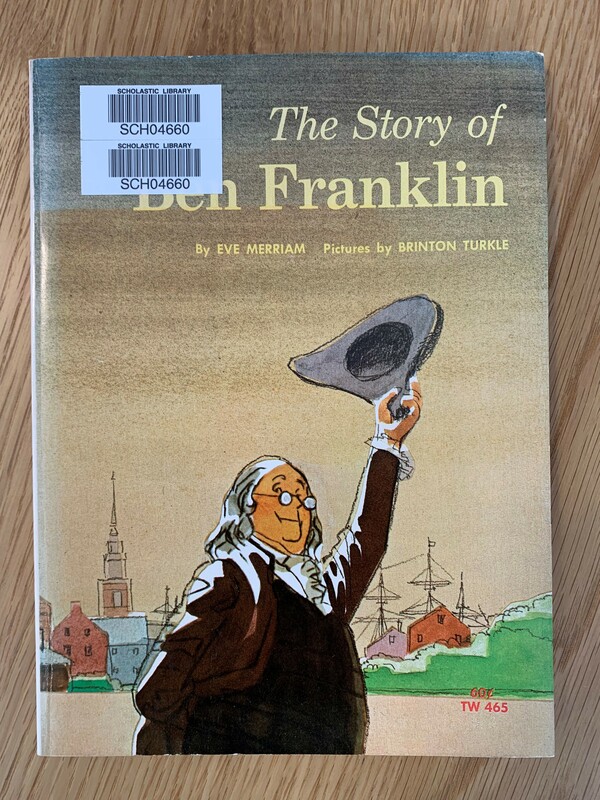 The Story of Ben Franklin by Eve Merriam, pictures by Brinton Turkle, 1965. He proved the lightning was electricity. He wrote a book of wise and funny sayings. He invented many useful things. In the city of Philadelphia, he started a library, a fire department, a police department, and a hospital. He signed the Declaration of Independence and helped write the laws of the United States. This biography tells you about many things Benjamin Franklin did to help his country and fellow men. 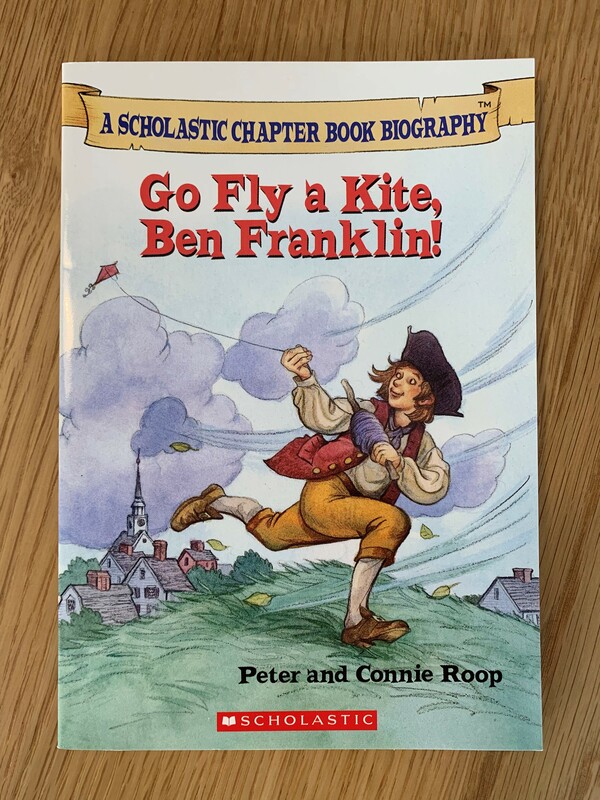 A Scholastic Chapter Book Biography: Go Fly a Kite, Ben Franklin! by Peter and Connie Roop, 2003. Ben Franklin is one of the most famous Americans who ever lived. He signed all four documents that created the United States. He was also an inventor who gave away many of his inventions for free. But what was Ben Franklin like as a young boy? Did he know that one day he'd discover something that would change the world forever? 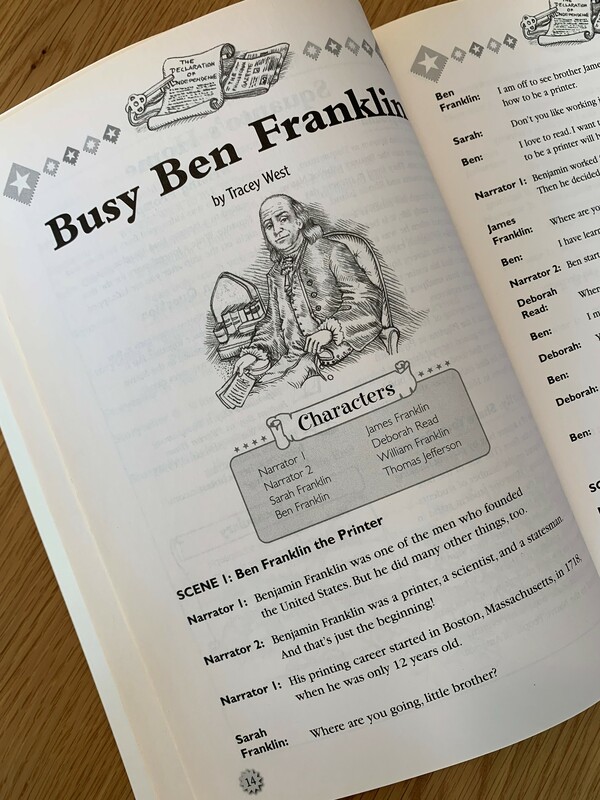 In this book, you will find out all about Ben Frankling before he made history. 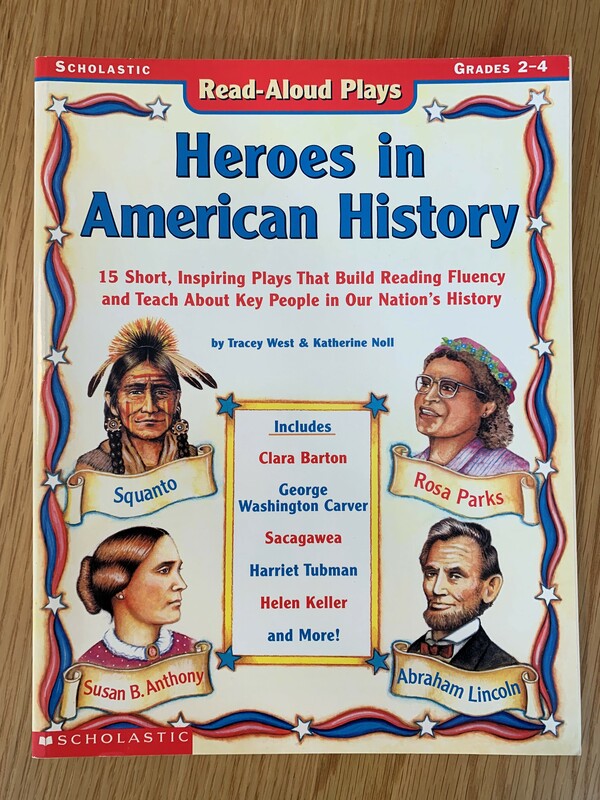 Read-Aloud Plays: Heroes in American History by Tracey West and Katherine Noll, 2003. 15 short, inspiring plays that build reading fluency and teach about key people in our nation's history. 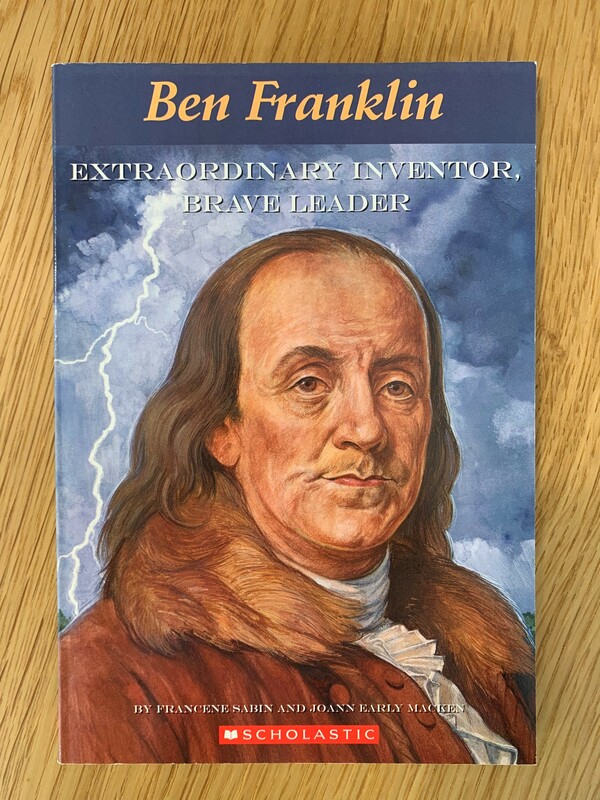 Young Ben Franklin: Extraordinary Inventor, Brave Leader by Francene Sabin and Joann Early Macken, 2007. Benjamin Franklin was a remarkable man in our country's history. He wasn't just an inventor. He was also a journalist, a poet, a printer, a politician, an ambassador – and one of the founding fathers of the United States of America! 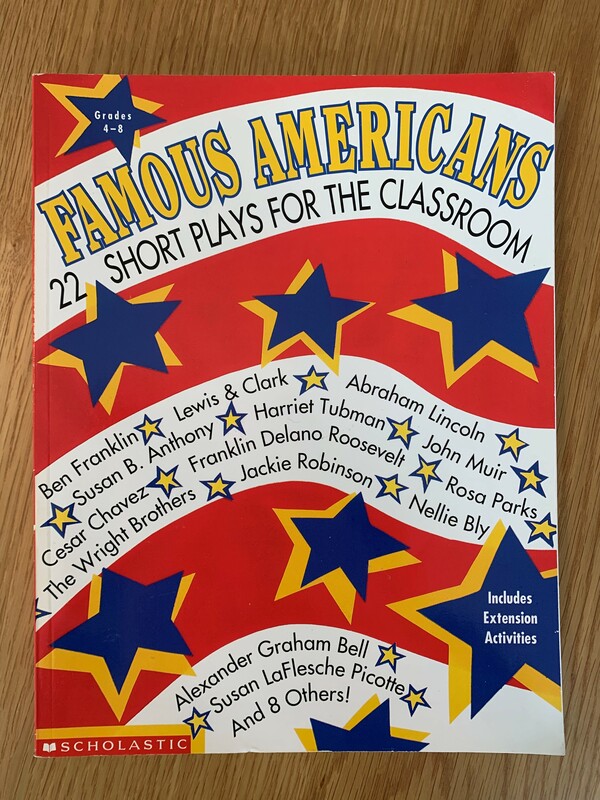 Famous Americans: 22 Short Plays for the Classroom, complied and edited by Liza Schafer, 1994. Special thanks to librarian Deimosa Webber-Bey for her ongoing help with this series!